The Storm have always exhibited remorse when it comes to their eye-watering cap rorts of 2010. In fact, they routinely mention it every year at their anniversary celebrations for the ’07 and ’09 titles. 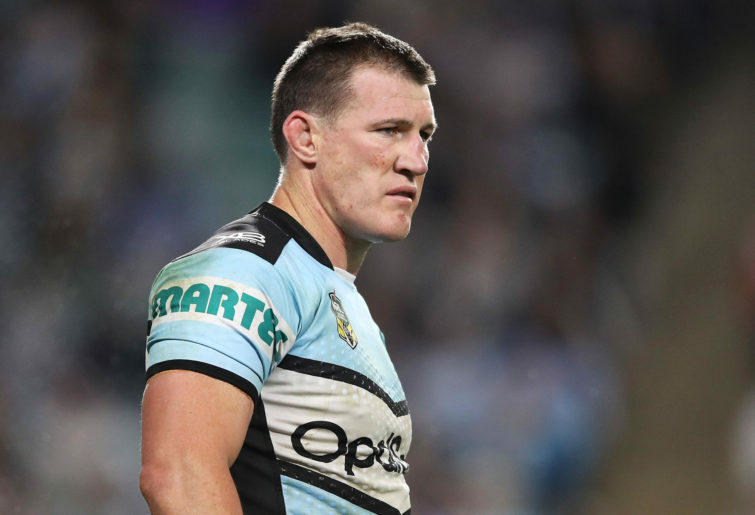 But this contrition did not shackle Cameron Smith from recently floating a proposal to have the club’s squashed trophies reinstated, an idea that was widely condemned until it upset Paul Gallen. 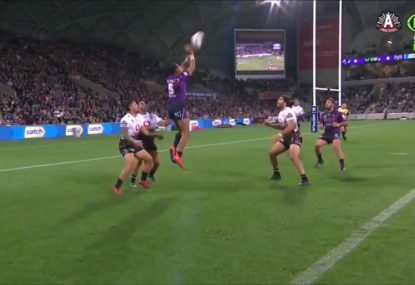 Smith claimed that if other clubs could self-report inadvertent breaches and retain their trophies, then Melbourne should also be afforded the same leniency for nothing more than simply pushing print twice on a photocopier. When you think about it, Melbourne’s industrial-scale fleecing was actually just a small rounding error that fortuitously secured the organisation the most talented crop of our generation, and only for a decade or so. People make out their pre-meditated deception for advantage amounted to cheating, but really, it was more like an out-of-luck talent agent dialling the wrong number in 2005 and reaching the Kardashians, then securing them with watercraft. So I’m with Smith. Let’s reinstate the Storm’s soiled titles. And while we’re there, bring back these rorts too. Whether or not Lawler fixed the Wests versus St George decider will never be truly known, not at least until Graham Annesley’s next Monday mea culpa. But if he did, why the stigma? 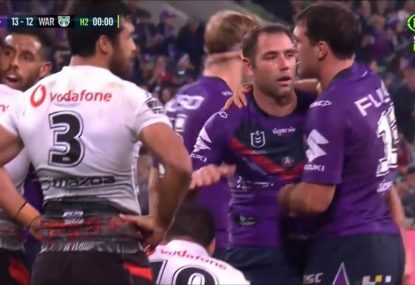 Whichever way you look at it, Lawler could’ve been biased because he was morally pliable and pathetically enslaved to money, or because Ricky Stuart was owed a square-up from last week after blowing up about “47 texagrams.” Either way, partiality in officialdom should be embraced. That’s because The Bunker costs the NRL $2 million and still can’t guarantee full accuracy. Someone like Lawler can provide 100 per cent certainty, and at no more than one down payment of 10 pound thrippence. The Bulldogs massacred the salary cap in 2002, and were duly slapped with a 37-point deduction and a premiership the following year. Their plan was cunning, with a deeply intricate web of financial chicanery employed which saw funds allegedly siphoned from the ill-fated Oasis Development directly in to Braith Anasta’s wallet. This was eventually revealed as one of the game’s greatest scandals, when it was later realised this money should’ve gone to Johnathan Thurston. Either way, this project was again unearthed by pesky journalists, so it should never have been dismantled. In fact, no bust like this should count unless achieved red-handed by the game’s officials. Financial malfeasance should be like a forward pass. Forget what the doctors and the lawyers say; why not legalise dangerous systematic doping regimes like Cronulla’s from 2013? Not only can you finally put that dormant garden shed to good use, there will never be another undetected public urination when footballers are peeing neon. 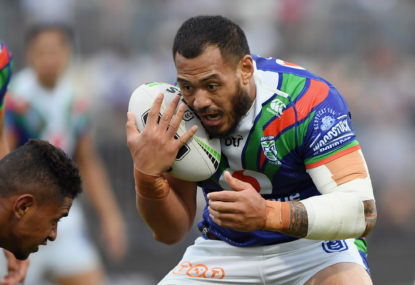 The decision from Queenslander Nathan Fien to trick his way in to a Kiwi jersey by lying about his grandma was one that dumped untold shame on the international game. On the other hand, anything that sends more Queenslanders away from Australia has to be a good thing. Remember when the calamity capers of head office were unnecessary expenditure on hire cars and forgetting players names, and not grand scale cover-ups and forgetting players names? Rugby league would give anything to have John Grant and David Smith back on board. Not only did their tenure boast a record of zero Snapchat scandals, they were known for funnelling the game’s revenue to where it was most needed: premium upholsterers. Sure, Grant and Smith would breathlessly spruik Benji Barba and the Manly Seagulls, but not because they were overwhelmed running the most volatile basket-case known to man, but because they were preoccupied picking the sedan or the coupe. Having two administrators fund their crippling addiction to luxury vehicles with a TV deal and passing on costs through expensive meat pies may harm fans, but its not like they forgot Laurie Nicholls was in heaven now. Whether whisky-punching in Arizona or deploying a lewd selfie in New Zealand, the Rabbitohs are the market leaders in transgressing offshore. If you’re going to cop a massive fine, why not take your pants off somewhere with a beneficial exchange rate? The crooked Eels management have earned a reputation as rugby league’s mafia, except only its decade of rackets have run at a crippling loss. Despite illegally splashing on wages, laundering revenue and fleecing membership counts, the only table they club has topped is an ASIC watchlist for corporate liabilities. 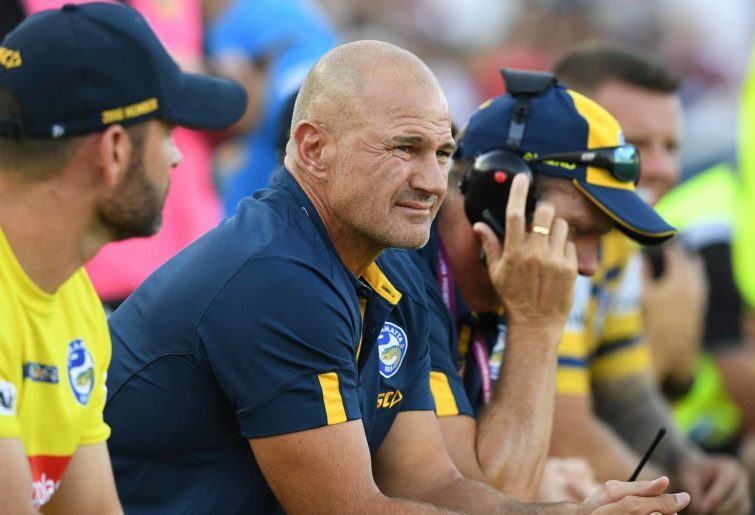 They were initially hovering around the top four, but surged to the minor premiership after wilfully investing in Anthony Watmough. We’ve reinstated some truly evil criminal enterprises here, but you have to draw the line somewhere. 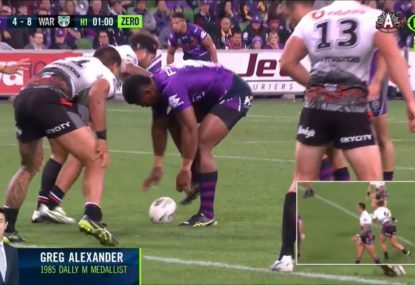 Controversial, or just a brain fade from Vunivalu? 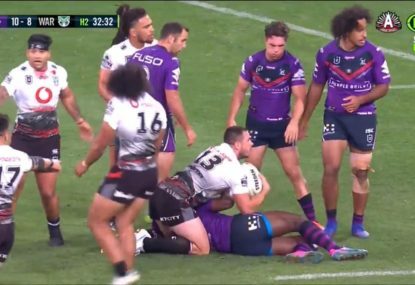 The Melbourne Storm will hope to retain their first place spot with a win against the New Zealand Warriors in a traditional Anzac Day match. This is The Roar’s guide to streaming the action online, or watching it on TV.